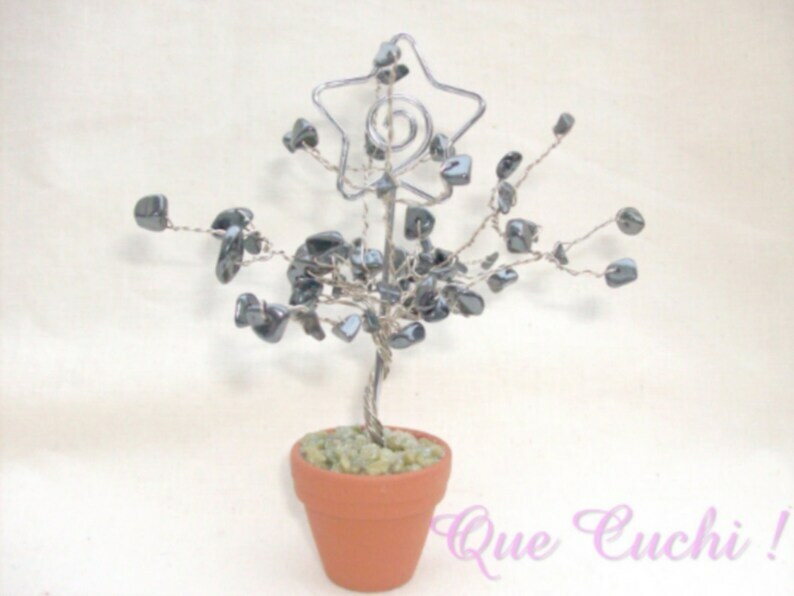 Small tree of 12 cm in height, glittering decoration stones, silver metal holder, nickel-free, in the shape of a star, but it can be with heart shape, round ... and clay pot. Hematite relaxes, purifies and energizes. Also calms haemorrhages. Also facilitates oxygenation of the blood. Regulates menstrual disorders. Stimulates willpower, courage and self-confidence. Very useful for shy people. Hematite chips stone pierced to make jewels. Sideboard of about 250 chips of mother-of-pearl. 205 chips of about 7 mm mother-of-pearl tinted to make jewels.